Fenerbahce finally won a game but it was hardly a walk in the park. The Yellow Canaries strengthened over the winter break bringing in Victor Moses on loan from Chelsea as well as Serdar Aziz, Tolgay Arslan and Miha Zajc who signed on transfer deadline day. There is no doubt about it. The Yellow Canaries are on paper at least a far better side now. Goztepe have lost their last two games and I don’t see that trend changing tonight. Malatyaspor lost last week against Fenerbahce but boy did they make the home side sweat. The Eastern Anatolian based side brought in Aboubakar Kamara from Fulham on loan. Let’s see if Mr self-proclaimed ‘AK 47’ can fire his side back into form. Kasimpasa lost their star striker Mbaye Diagne to Galatasaray over the transfer window without bringing in a replacement. The Senegal international scored an astonishing 20 goals. I expect the Istanbul minnows to struggle without their star man. Trabzonspor have yet to win in 2019. I expect that to change against an Ankaragucu side who have really been struggling of late. Alanyaspor lost star defender Merih Demiral to Sassuolo a few days ago. 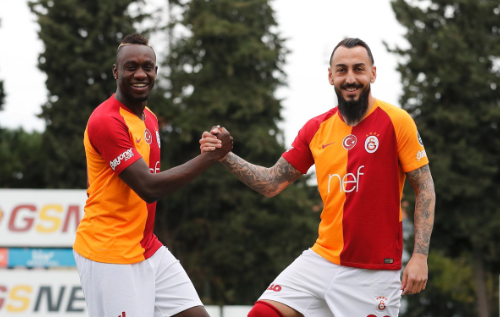 Galatasaray meanwhile went on a signing spree bringing in the likes of Super Lig top scorer Mbaye Diagne, Kostas Mitroglou and Christian Luyindama. The new look Lions are a far more physically imposing side. They have already won their first three games. Expect that trend to continue. Staying clear of trying to predict this relegation scrap. The only way I see Basaksehir drop points against bottom of the league Akhisar is if the pressure of potentially winning the league gets to them. Antalyaspor have started to fall off the pace over recent weeks. Besiktas stumbled in the last round of games but did strengthen over the winter period and it will be interesting to see how Shinji Kagawa does.